Prime Minister Nguyen Xuan Phuc joined heads of State and Government of 18 countries at the opening ceremony of the first China International Import Expo (CIIE) held in Shanghai on November 5. Addressing the event, PM Phuc said that the world economy has maintained a growth trend and the fourth industrial revolution is spreading to each nation, enterprise and person, thus opening up cooperation opportunities but also bringing new challenges. Trade disputes continue developing complicatedly, requiring parties to conduct dialogue, intensify trust, abide by international law, and boost cooperation on an equal footing, he noted. He affirmed Vietnam appreciates China's organising the 2018 CIIE which reflects the country’s thinking of mutual benefit and win-win cooperation, fostering economic and trade collaboration and creating a strong motivation for economic growth of the region and the globe. 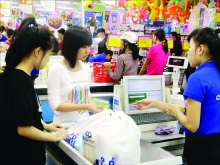 In the current context of globalisation, a single nation cannot develop by its own without opening up its doors, integrating and connecting with each other, the Vietnamese government leader affirmed. As a close and friendly neighbor of China, Vietnam always attaches importance to its solidarity and cooperation with China, and wants to work with the country to boost sustainable and win-win economic and trade economic development, PM Phuc said. He reiterated Vietnam’s support for an open, fair, transparent, inclusive and rule-based multilateral trading system with the World Trade Organisation as the foundation, as well as its commitments to creating a favourable business environment and contributing to peace, stability, cooperation and development in the region and the world. The Vietnamese Government leader took the occasion to brief participants on Vietnam’s socio-economic and international integration achievements, and confirmed that the country always welcomes foreign enterprises. Chinese President Xi Jinping said the CIIE demonstrates China’s backing of trade liberalisation and market opening. He affirmed that through the organisation of the expo, China is willing to join hands with other nations to build a new forum for economic and trade cooperation, protect the multilateral trading system and promote more open and inclusive development of the world economy. CIIE is one of the four biggest external events of China in 2018 with the participation of over 3,000 enterprises from 130 nations and territories. 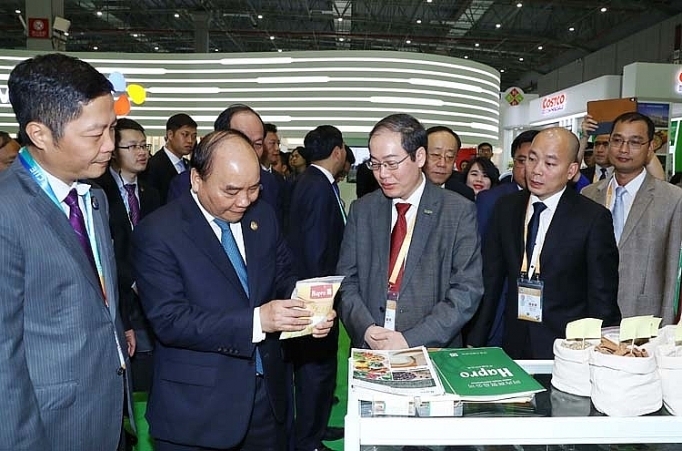 Taking part in the expo as a “guest of honour”, Vietnam holds a national stall, showcasing outstanding products of 25 prestigious enterprises operating in the fields of agricultural products, seafood, processed food and trade services. Within the framework of the event, Vietnamese enterprises are expected to hold seminars and exchanges with partners from China and other participating nations and territories to expand cooperation opportunities.